Jamie here to share some Halloween Treats using this month's spotlight! 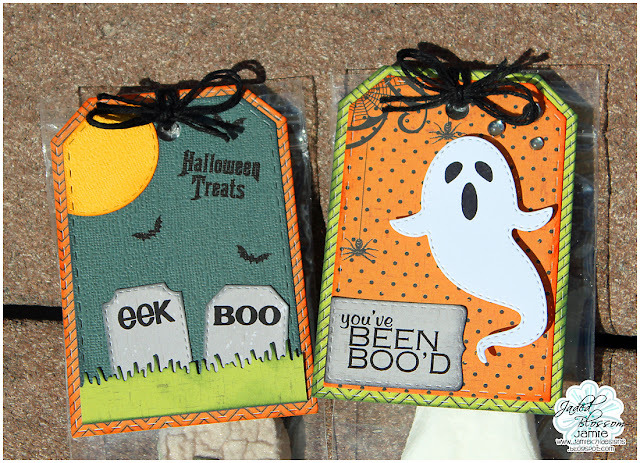 I created some tags using the Luggage Tag Dies and Halloween Dies. For the tag on the right, I used the grass die and the middle of sun die as the moon. 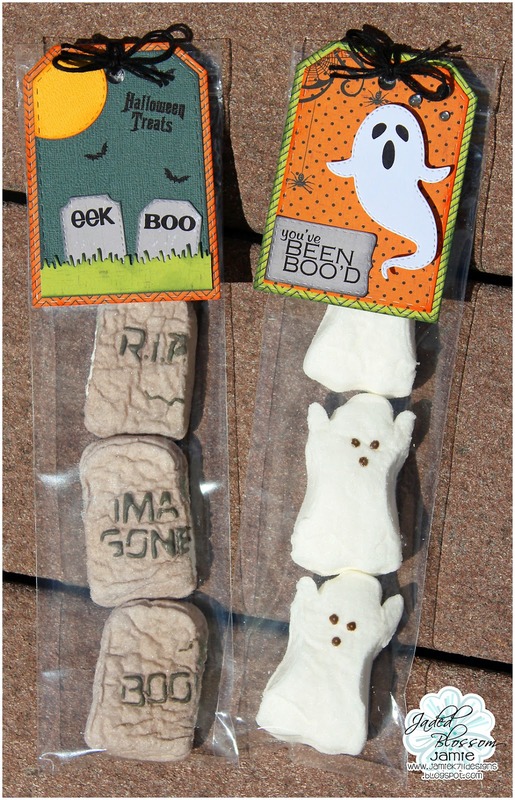 Then I added a few bats from Halloween Bingo and created tombstones with the Halloween Dies. The tag on the left, I added the ghost face from Pick Your Poison and stamped the sentiment onto a Banner die. Soooo cute! Can't wait to get started on Halloween treats!